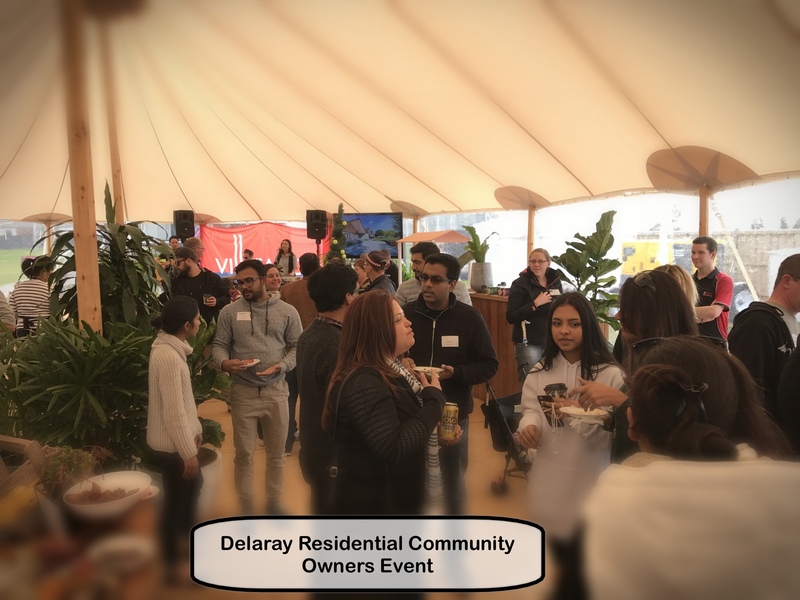 At Delaray in Clyde the value of ‘community building’ is at the forefront. 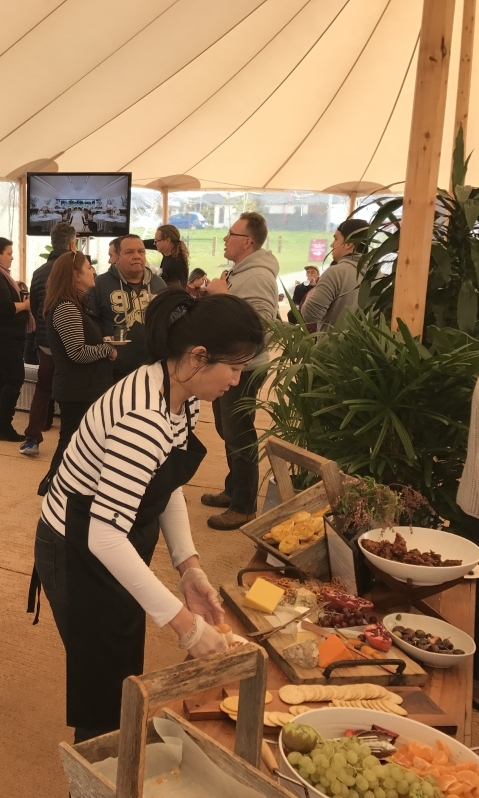 Creating engaging community events for residents is a clear focus for both Villawood and Quantum. A close-knit community, particularly around an active residents clubs & events, creates a strong attraction to an estate that has been demonstrated to positively impacts property values. Michael Darby and Rupert Murray-Arthur were in attendance to support the event to address, meet and socialise with the residents. The event included music, lego tables, great food, drinks to face painting, all under a grand marquee. It was a great environment for establishing and strengthening stronger friendships amongst the community. A small part of the event was some formalities. Nabil Harb from Olive Hume provided an overview of the current sales and new stages within Delaray. 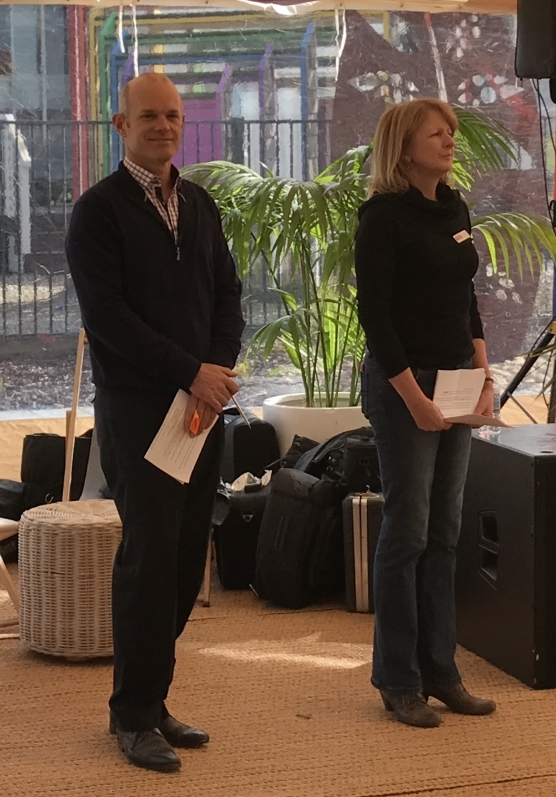 This was followed by Nancy Bickerton Senior Development Manager at Villawood providing an overview of stage constructions and releases as well as exciting the community with a Fly through of Club Delaray. The Club is due for completion in mid 2018. Then Michael Darby of Quantum spoke about the owners corporation structure and their management approach including their focus on active communication and the value of community events and development. 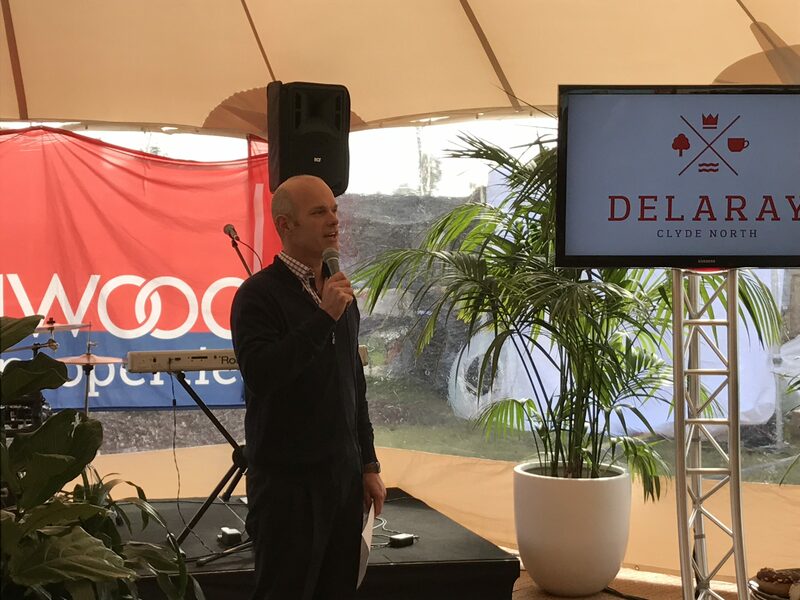 Quantum United Management has been engaged by Villawood Properties to provide consulting and management services for Club Delaray Ltd responsible for operating the residents club, in addition to the management of the multiple owners corporations within the master planned community in Clyde. Michael Darby, Managing Director of Quantum United Management, addressing residents at the Delaray community event. Michael Darby Managing Director of Quantum United Management and Nancy Bickerton Senior Development Manager at Villawood Properties.